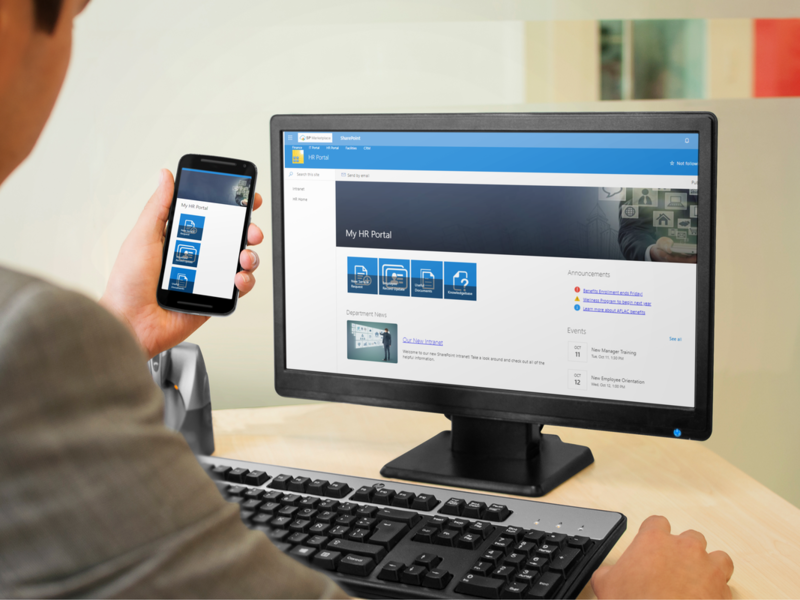 SP HR SMB is a next generation SharePoint solution on Office 365 designed for small to medium businesses (SMB's). As part of your Office 365, SP HR SMB saves HR staff time by empowering employees with Self Service and automating time-consuming processes. 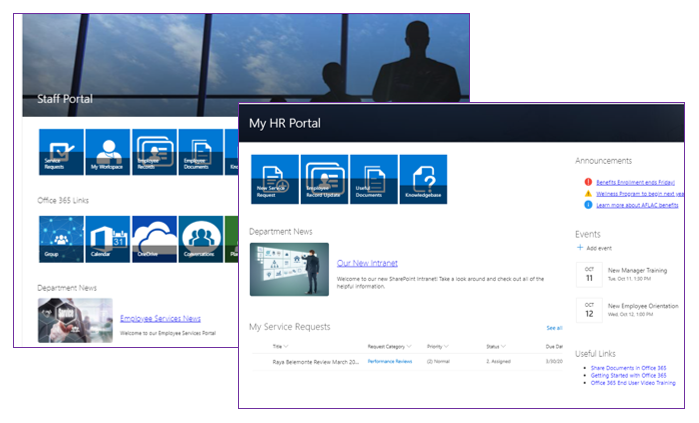 With the SP HR SMB, HR staff can track human resources service requests, manage employee data, documents, policies, and certifications, and manage the hiring, onboarding, and performance review process, and more. 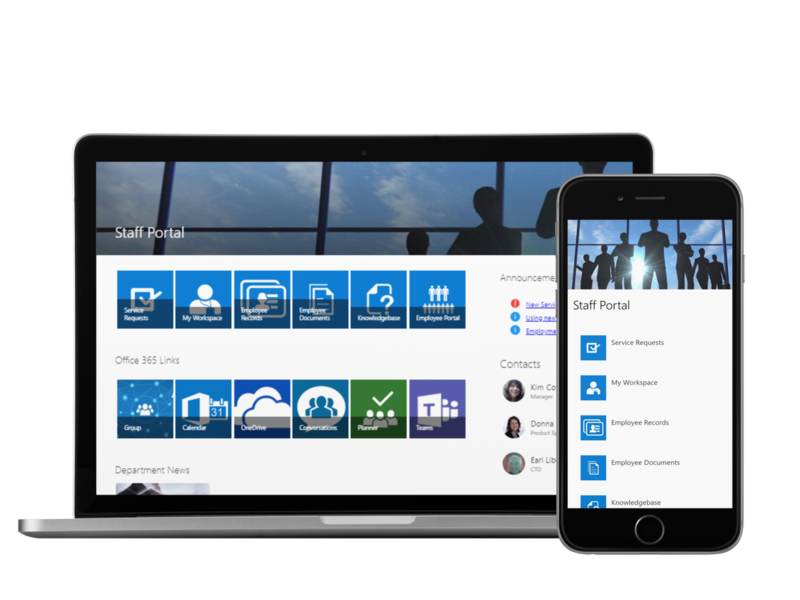 It also supports collaboration among the human resources team as well as integrations with the other Office 365 components such as Teams, Groups, Planner and OneDrive. How Will SP HR SMB Transform Your Organization? 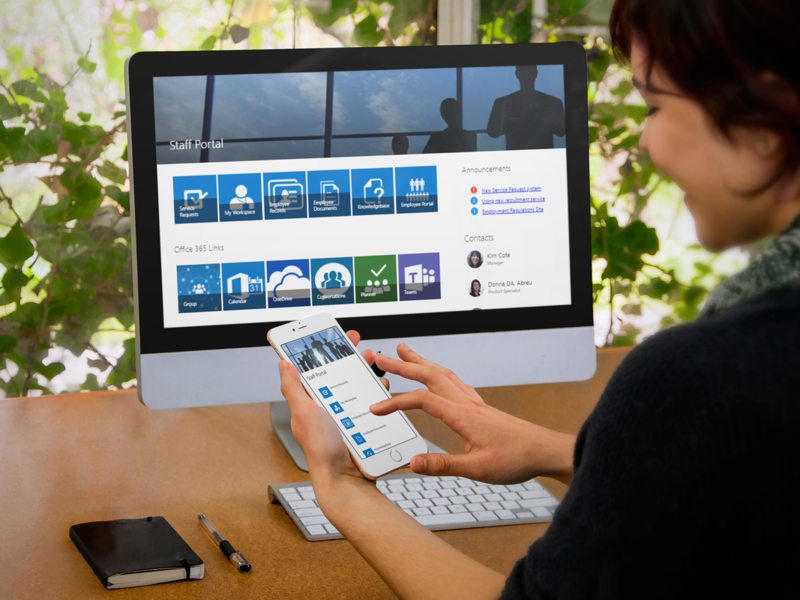 SP HR SMB includes a separate secure Employee Portal that is specifically designed to empower employees through self-service. They can get answers to questions through a knowledgebase, find documents or other resources, or submit a request to the HR Help Desk that they know will be assigned and tracked. Self-Service allows employees to focus on their real job, rather than emailing, calling the HR Staff. It give them an easy to use place to get what they need quickly, so they can go back to the focus of their job. Less frustration for the employee, more productivity for the HR Staff! ​The staff side of SP HR SMB is a secure site designed for the human resources team to organize and optimize work. Whether tracking employee data, documents, or changes, SP HR SMB provides process automation for employee management. 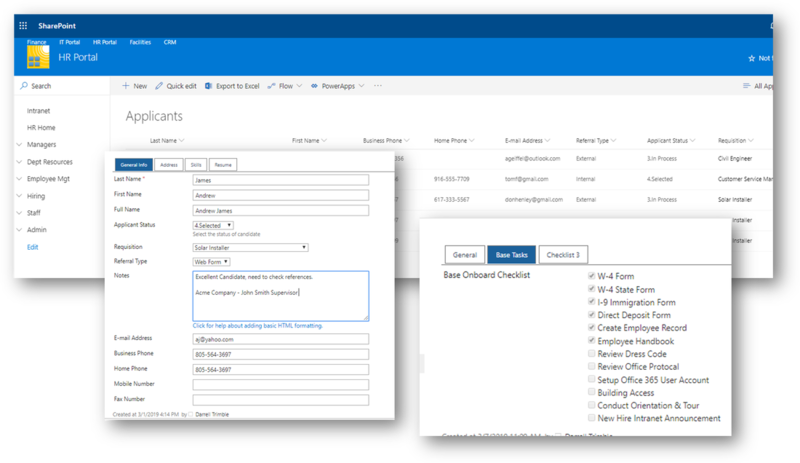 Additionally, HR staff can manage and track requests for services from employees with an easy to use help desk. ​The application also drives collaboration across the human resources team with discussions, idea sharing, and task tracking. SP HR SMB even supports administrative needs like vendor contacts, document management for policies, contracts, performance reviews regulations, and procedures. ​From Job Requisition through Hiring and Employee Onboarding, SP HR SMB helps you manage and automate the entire lifecycle. Managers can submit new job requisitions, once approved HR can post the opening to the job sites of their choice, and direct interested applicants back to a web form (option) on your website to apply and upload their resume. The data and resume are brought into SP HR SMB, managers, and HR staff are notified, and the HR staff can track the applicant through their defined process. Once an employee is hired, the Onboarding feature allow HR to track steps with role-based checklists to ensure the new hire is productive as soon as possible. Track employee record changes, promotions etc.